1. Upgrade to the latest version of SQL Server 2017. 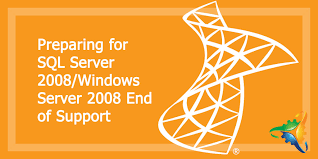 In this case, you can sign up for Support from Microsoft and continue to use SQL 2008. But do note that support cost per year will be 75% of the cost of new license. In that case you should consider moving to the Cloud. Let us see the implications. 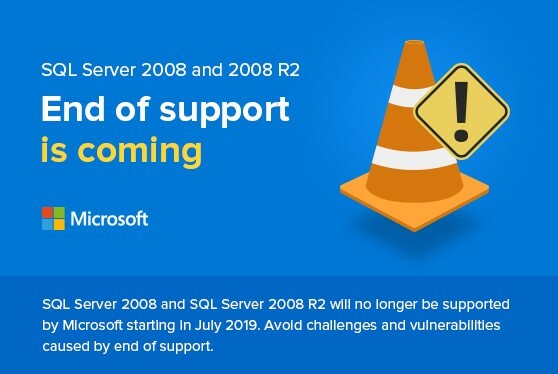 If you move your applications to Azure, you can continue to use your current version of SQL 2008 for next 3 years without paying for extra support. So, this works out to be a very attractive option of modernization of your Infrastructure. Only the regular Azure cost will be applicable. A very interesting option is to move your Database to SQL Azure. In this case, Microsoft will manage your SQL Server on Azure. And it will be totally scalable. SQL Azure is the managed instance of Azure and is considered to be Platform as a Service. You do not have to invest in SQL licenses for using SQL Azure. It is a perfect example of Pay as you Go! 1. Upgrade and deploy Windows Server 2019. 2. Upgrade to 2019 and use the licenses to migrate to Azure. Customers can get a huge cost benefit if they use their own licenses on Azure. 3. Migrate to Azure as a Platform. In this case you can directly use the Windows Server provided by Azure, thus saving you the cost of licenses. At TechGyan, we can help you in any of the above scenarios. We have helped Customer move their applications to the Cloud. We have also assisted Customers in purchase of Licenses for their On-Premise Servers. So, do give us a call and we will take it forward.